Finance Ministry state secretary Gábor Gion has held talks with three rating agencies in London, the Finance Ministry said on Wednesday. 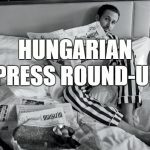 Hungary’s government is working to maintain economic balance, and it wants the rating agencies to acknowledge the success of Hungarian solutions, Gion said after the talks. The market as well as analysts all acknowledge these solutions which have produced sustained economic growth, he added. Gion said that reducing Hungary’s public debt relative to GDP at a faster than planned pace, as rating agencies would like to see, could endanger the country’s economic balance. Hungary’s public debt as a percentage of GDP will fall under 70 percent only next year, but could fall to 60 percent by the end of 2022, he said, noting that public debt stood at 81 percent of GDP in 2011. The first review of Hungary this year by one of the big three ratings agencies is scheduled for Friday. Standard and Poor’s will review Hungary’s sovereign rating late in the evening, Central European Time. 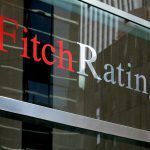 S+P, Fitch and Moody’s all assign Hungary the lowest investment grade rating.